This serial application software is a mobile app for iOS, Android™, and the Chrome™ browser. It lets you easily map commands and build a control interface that's customized to your specific serial application. The app functions as a traditional serial console, so you can use it to connect to and control virtually any Telnet-capable serial device. Plus, it’s designed to communicate with compatible StarTech.com serial products (for example, NETRS232, NETRS2321P, NETRS232485, NETRS232485W, and ICUSBANDR232). This handy application gives you convenient and advanced serial control, making it a must-have smartphone and tablet application. Plus, it saves you the cost and time associated with coding your own interface or the expense of hiring a coder to do it for you. It integrates support to adjust the most common serial settings, such as baud rates or IP addresses, without having to use a browser-based interface. You can also use the import and export tool to save all of your settings and access them at another time, even from another device. You can easily set, save, and sync serial settings with the push of a few buttons. 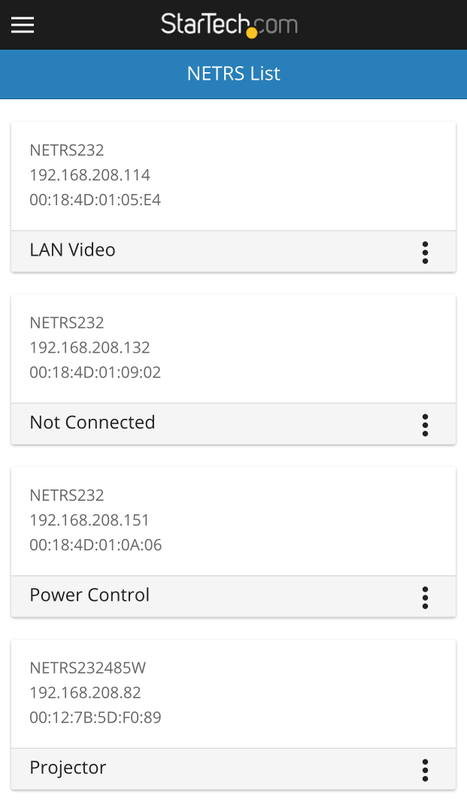 In addition to being a great expansion to your NETRS232, NETRS2321P, NETRS232485, NETRS232485W, ICUSBANDR232, the serial app works with other networked serial devices that support Telnet. 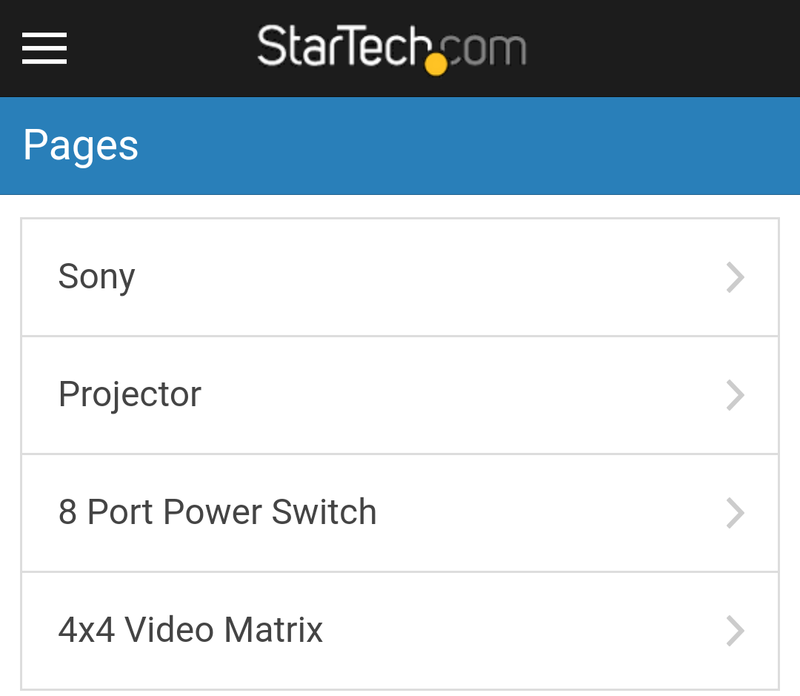 Now, you can connect to and control virtually any serial device from the convenience of your smartphone or tablet. The app lets you eliminate the aggravation and time that it takes to control your serial devices using traditional methods (for example, using a bulky third-party software package). With its integrated import and export service, you can save and export your settings so you can access them from different mobile devices. 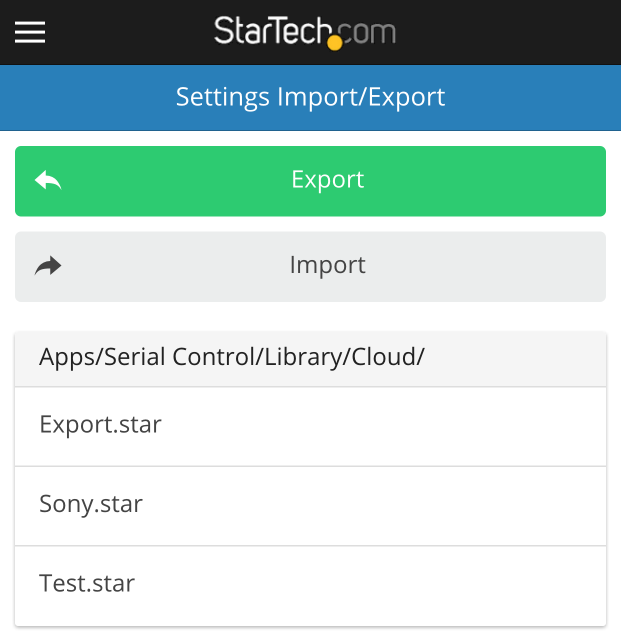 The import and export functionality make it easy to save your settings, interfaces, and control libraries, and then import those settings to multiple devices. You can save time and avoid the nuisance of repeatedly entering data every time you access your mobile device.